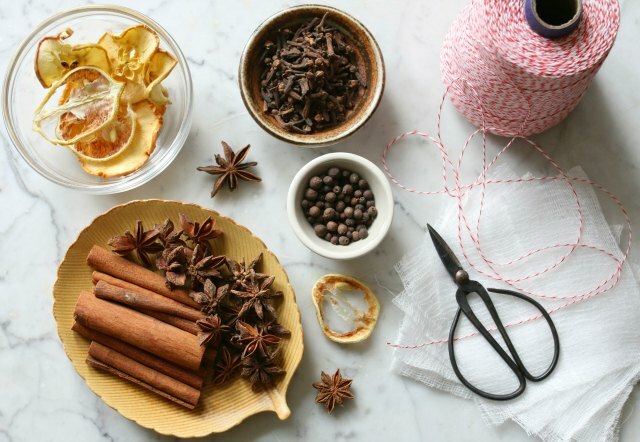 Mulling spices are a blend of spices, typically combining allspice and cloves with a variety of other seasonal ingredients and a touch of citrus. They can be used to spice drinks like cider, wine and even beer — and when simmered in water over the stove, they create an incredibly welcoming aroma throughout any space. Mulling spice blends are easy to find and purchase at the market, but can easily be made at home with a small collection of pantry staples. 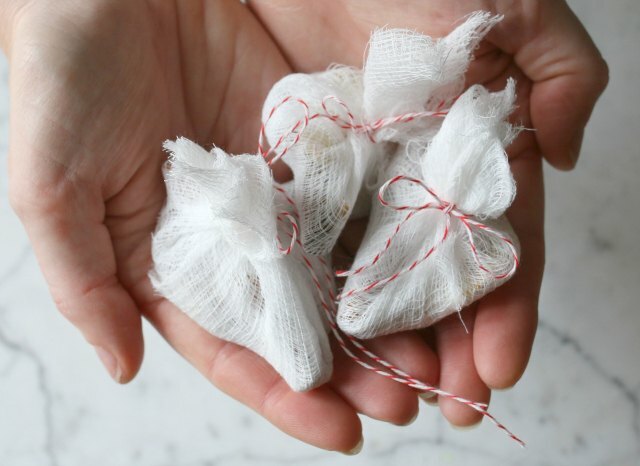 When bundled or jarred, these fragrant sachets make great gift ideas for housewarming or hostess gifts during the autumn and winter seasons. Gather supplies from your pantry, local market or online dry goods supply. The apple and citrus slices can be dehydrated at home either with the use of a dehydrator or by placing the slices evenly across a baking sheet to slowly heat in the oven for 3 hours at 200 degrees, turning halfway through. Cut cheesecloth into six 4-inch squares. Stack each square to create the base for three mulling spice bundles. Combine ingredients and divide among the cheesecloth squares, one each of cinnamon sticks and star anise, a slice each of lemon and apple with pinches of whole allspice and cloves per bundle. Gather the edges into a bundle, securing with a piece of baker’s twine, finishing with a bow. Break down the cinnamon sticks and citrus slices if too large to secure within the square bundle. Store spice bags in an airtight container or zipper bag for up to 6 months. 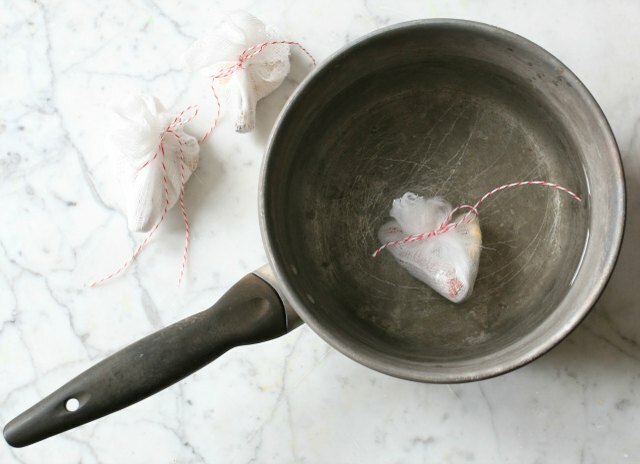 When ready for use, steep a single bundle over the stovetop in simmering cider or wine for 3 to 4 minutes. 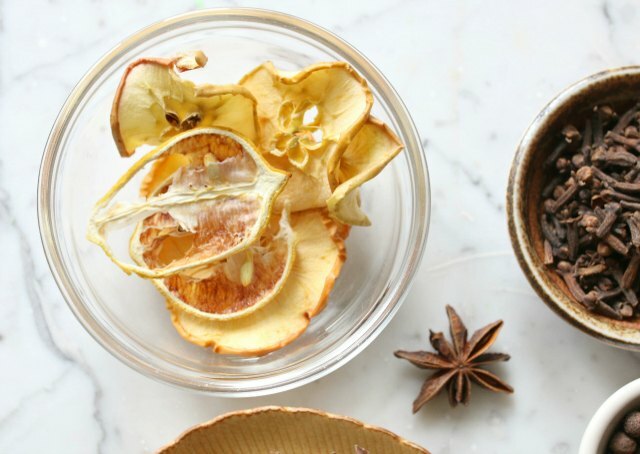 Remove the bundle before serving as a fragrant seasonal mulled treat. Alternatively, steep in simmering water for 3 to 4 hours to fill your space with holiday aromas. Looking for more DIY holiday ideas? Learn how to create a behind-the-door wrapping paper station, or fashion your own modern Himmeli-style tree topper.